A 3-monthly formulation of intramuscular paliperidone palmitate (3-monthly paliperidone palmitate) has recently been approved for the maintenance treatment of schizophrenia in adult patients in the EU (Trevicta®), following earlier approval in the USA (Invega Trinza®). This narrative review discusses the clinical use of 3-monthly paliperidone palmitate in the maintenance treatment of schizophrenia in adult patients and summarizes its pharmacological properties. The efficacy of the 3-monthly paliperidone palmitate formulation as a maintenance treatment for schizophrenia has been demonstrated in well designed, phase III trials. Three-monthly paliperidone palmitate was more effective than placebo in delaying time to relapse and reducing relapse rates, and was noninferior to 1-monthly paliperidone palmitate in the proportion of patients that remained relapse-free. The 3-monthly formulation was also more effective than placebo in controlling the symptoms of schizophrenia, whilst not differing significantly from the 1-monthly formulation in terms of symptomatic control. Three-monthly paliperidone palmitate was generally well tolerated in clinical trials, with a tolerability profile consistent with that of the 1-monthly formulation. In conclusion, 3-monthly paliperidone palmitate is a useful treatment option for adult patients with schizophrenia who are adequately treated with the 1-monthly formulation, particularly for those who would prefer, or may benefit from, longer dosing intervals. The manuscript was reviewed by: T. R. E. Barnes, Imperial College Faculty of Medicine, Charing Cross Campus, London, United Kingdom; R. M. Procyshyn, Department of Psychiatry, Faculty of Medicine, University of British Columbia, Vancouver, BC, Canada; K. L. Subotnik, Department of Psychiatry and Biobehavioral Sciences, University of California, Los Angeles, CA, United States. During the peer review process, the manufacturer of the paliperidone palmitate 3-monthly formulation was also offered an opportunity to review this article. Changes resulting from comments received were made on the basis of scientific and editorial merit. Yvette Lamb and Gillian Keating are salaried employees of Adis/Springer, are responsible for the article content and declare no relevant conflicts of interest. European Medicines Agency. 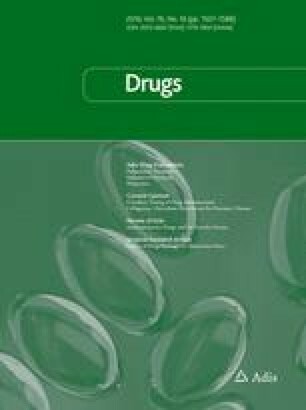 Trevicta (paliperidone palmitate) prolonged release suspension for injection: EU summary of product characteristics. 2016. http://www.ema.europa.eu/. Accessed 14 Sep 2016. Janssen Pharmaceuticals Inc. Invega Trinza® (paliperidone palmitate) extended-release injectable suspension, for intramuscular use: US prescribing information. 2016. http://www.janssencns.com/. Accessed 14 Sep 2016. National Institute for Health and Care Excellence. Psychosis and schizophrenia in adults: prevention and management. 2014. http://www.nice.org.uk. Accessed 23 Aug 2016.